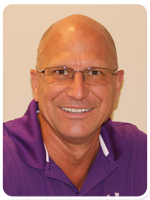 Rehoboth Beach Dental | Dr. Curtis Leciejewski, D.D.S. Curtis J. Leciejewski, D.D.S., M.A.G.D. Dr. Curtis Leciejewski, D.D.S & Dr. Michael D. Keller, D.M.D. Welcome to our Rehoboth Beach dental practice! At Rehoboth Beach Dental, we offer modern dental care for your entire family in a comfortable and welcoming atmosphere. Whether you are seeking ongoing preventive dental care, have an urgent dental care need, or are looking to make cosmetic changes to your smile, we are happy to help you with all your dental care and oral health needs. We are thrilled to be serving the communities of Rehoboth Beach and historic Lewes, as well as Bethany, Milton, Millsboro, Dewey. Our patients have been trusting us to take excellent care of their smiles since 2001. We offer a full range of services to meet all your dental needs. Dr. Curt Leciejewski practices individualized dental care designed to meet each patient’s unique needs. We understand very well that you are not a number in a file or a name on a chart. You are a one-of-a-kind human being with specific needs. We promise to always take your needs and wants into consideration when creating your treatment plan. Even if it’s been awhile, call us today and make an appointment for a dental examination and consultation. We will work with you to create a treatment plan that is individualized and takes your wants and needs into account. We will also take the time to explain procedures and services to you thoroughly. Patient education is important to us, and we would never want you to make a decision without all the facts. You are the reason we are here. Your dental care is important to us, and we want to make sure that the job is done right and that you are always happy and satisfied every single time you visit our office. We take our time and won’t rush through your appointment. We want to hear your concerns and your questions. Call our Rehoboth Beach dental office today at (302) 226-7960 to schedule an appointment! What can I do to prevent periodontal (gum) disease?